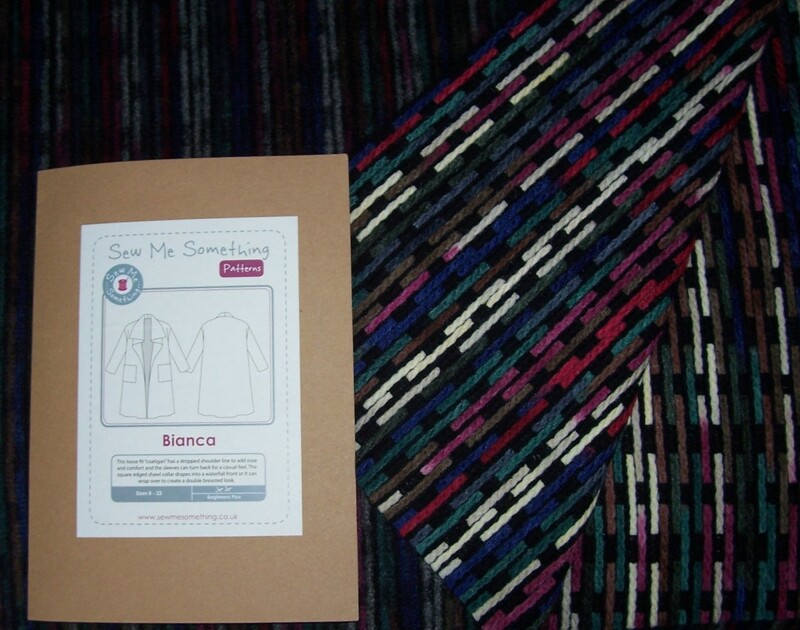 When I visited the Festival of Quilts back in August I purchased a couple of patterns from ‘Sew me Something’. The first was an Helena tunic dress which I completed back in August – the same month and year that the fabric and pattern was purchased! 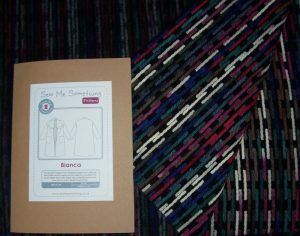 Fast forward three months and I have now completed making up the second pattern – a Bianca Blanket Coat using some fab-u-lous wool blend coating that I bought the same day from M Rosenburg & Son. It appears that I learned nothing from the previous construction in respect of sizing of Sew me Something patterns. Let me tell you now – they come up LARGE! I checked the measurement chart and decided to make the coat in the large size. It has turned out very roomy. Still that is no bad thing, it shall certainly be warm and able to layer up with sweaters beneath the coat, so bring on even more frosty, freezing weather – I am ready for it! The only changes made to the pattern were to shorten the front, back and sleeves by 2 inches. I prepared the fabric pieces by overlocking all raw edges as I had decided to make the coat reversible. To do this the seams would be lapped and double top stitched in place. This may be a time-consuming method but I have used it in the past when making up boiled wool with excellent results. Due to the bulk of the fabric, I used a 90 quilting needle with a stitch length of 4. When wearing the coat I do not style with the waterfall collar, instead I wrap myself up nice and cosy. All that remains to do is buy and stitch some large press studs at the collar to ensure that the hem stays level when overlapped. Meantime I will use one of my many brooches to secure the overlap in place.